JP House is offers a comfortable private room in the 19th arrondissement. My accommodation is close to Parc des Buttes Chaumont. You will appreciate my accommodation for the atmosphere, the external spaces, the district and the luminosity. My accommodation is perfect for couples, solo travellers and business travellers. 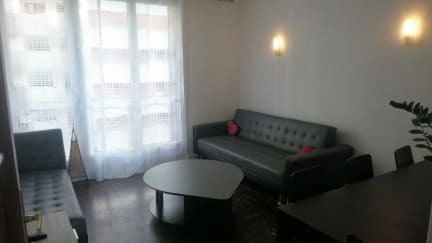 At JP House, guests will have free access to the other rooms that can be shared with the owner. Please advice your arrival time. JP House is ideally located in the 19th arrondissement of Paris, close to the well-known Parc des Buttes Chaumont. This arrondissement includes the Parc de la Villette, Cité des Sciences et de l'Industrie, a museum and exhibition centre, and the Conservatoire de Paris. 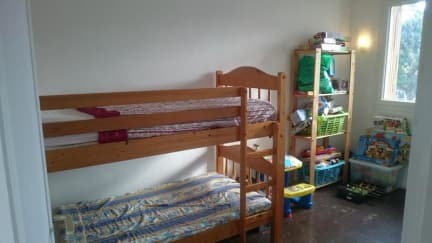 JP House offers a private room with a bunk bed perfect for two people.